RAY IS CURRENTLY on the Music faculty at Pomona College and Claremont Graduate University. He formerly taught for more than ten years each at Occidental College, Pasadena City College, and Glendale College, garnering particular notice for his successful big bands at each institution and for the Chamber Opera program at Pasadena City College. He has given master classes in colleges and universities in California, Oregon, and Iowa. He has worked with several youth orchestras, including the Pasadena Young Musicians Orchestra, the Glendale Youth Honors Orchestra, and the Verdugo Youth Orchestra. 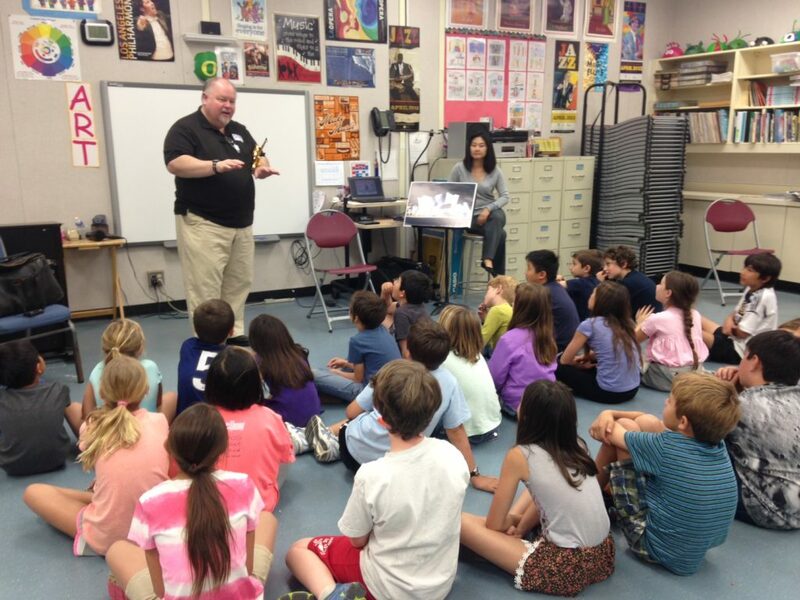 He has performed in school concerts for many years, both in professional brass quintets and as part of a volunteer trumpet/piano duo, and he has met with elementary school children as part of the Los Angeles Philharmonic Symphonies for Schools program. His private studio has included trumpet students in elementary, middle, and high schools up to college students and adults – ranging from beginners to professionals. 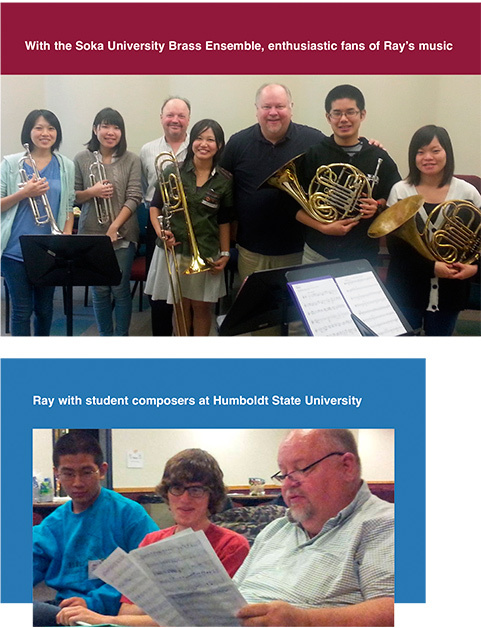 "I invited Raymond to be Guest Artist-in-Residence at Linfield College. In addition to conducting and performing with the band, Ray worked with student composers and coached chamber music. The week of his residency was rich. The students all raved about his music, his manner, and his musicianship. 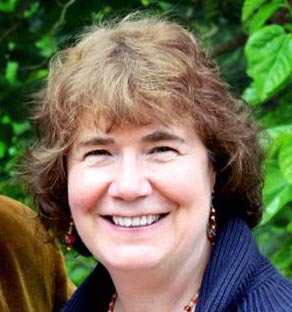 I found his work with Linfield students to be very effective, supportive, and inspiring." Ray shows school children what an orchestra conductor does!